Add wireless to any outdoor camera project! 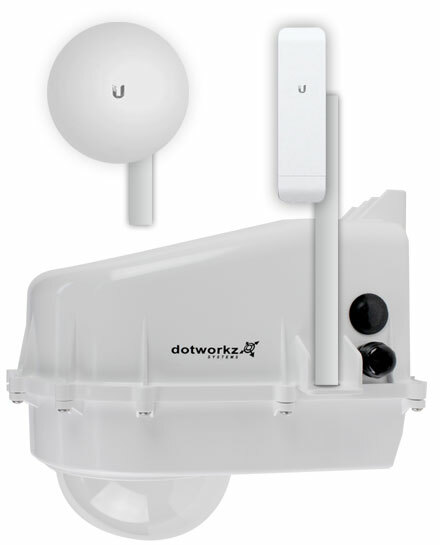 Dotworkz is excited to release the Nano Mount kit (KT-UBNT-NANO) for all our D Series outdoor camera housings. 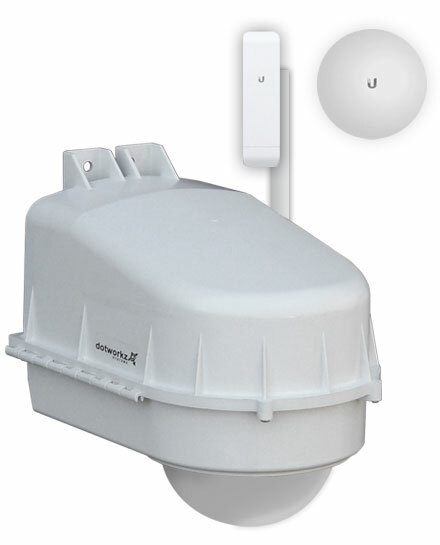 Engineered for an easy, safe, and professional installation of all Ubiquiti PowerBeam M Series and NanoStation M Series wireless antennas. This new Nano Mount provides the ideal DIY solution in mounting any PowerBeam or NanoStation radio antenna directly onto the D Series security camera housing without compromising the housing itself. 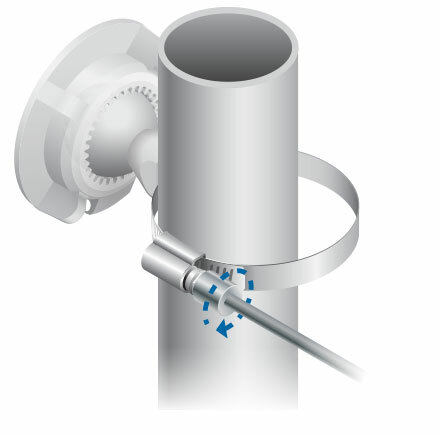 Powering the PowerBeam M Series or NanoStation M Series wireless antenna is simple and uses the supplied Passive PoE that is placed safely and securely inside the D Series housing allowing for a single power source and easy cable management. 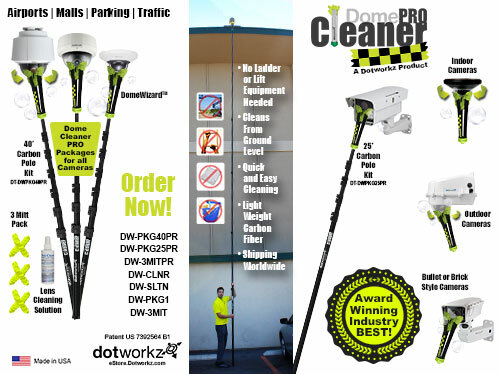 Since this is a professional outdoor wireless camera system kit from Dotworkz, you get the same extreme IP68 protection found on our D2 and D3 housings providing the ultimate barrier between the environment and all weather conditions. The D series housings are compatible for almost all brands and sizes of popular security cameras in one easy-to-install system. The Dotworkz Nano Mount is US made and constructed of hardened marine grade PE Plastic making it non-corrosive, non-conductive, and offer long term protection for outdoor use. ACTi, Arecont, Avigilon, AXIS, Bosch, Canon, Cisco, D-Link, GE, Infinova, IQInVision, JVC, Mobotix, Panasonic, Pelco, Samsung, Sony, Toshiba, VideoIQ, and more.